Low-rise approach shoes designed for both city walks and mountain hikes were all the rage a few years ago, but their lack of style – not to mention their propensity to let water in – has seen them take a dip in popularity. 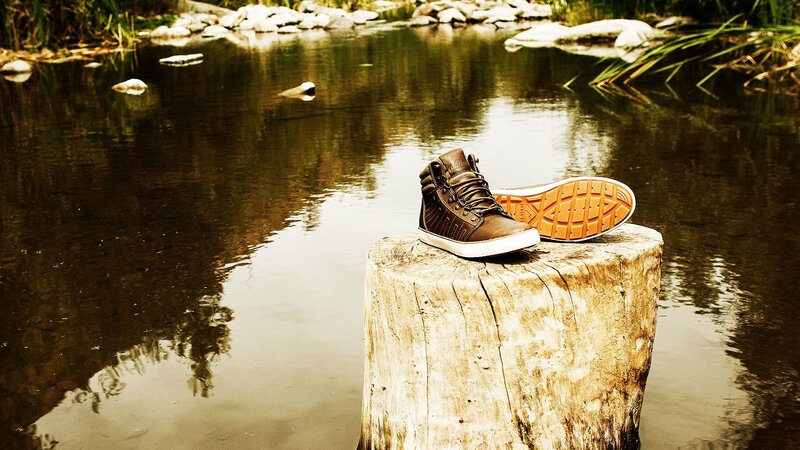 Step forward Ridgemont Adventure’s Outback, footwear that looks like a baseball shoe yet claims hill-walking ability. The Outback are great-looking baseball-style boots, with an almost retro mix of real leather and cotton canvas. We did find that the ultra-thin laces difficult to tighten and tie-up – they don’t slide through the fixings as smoothly as they could – but once on they proved comfortable and sturdy enough to consider something more than just a stroll around town. Most unusually, the Ridgemont Outback contains bespoke Ortholite insoles; instead of a flat base there’s a subtle though noticeable rise on the instep. Whether that’s comfortable will depend on how flat or arched your feet are (the latter might find int uncomfortable), but there’s no doubting that the insole is trying to encourage your feet to keep a healthy shape. Either way, it takes a little getting used to. Sold in both brown/olive and black/grey, these Outback shoes have white or baise vulcanised rubber soles, but therein lies the main problem. While approach shoes offer almost as much grip as the heavy-duty walking boots they’re modelled on – and designed to replace – the Outback just don’t offer as much stability as we’d hoped. Safe enough for an impromptu walk in the country they might be, but we’re not convinced about their worthiness for a day in the mountains. Stylistically the Ridgemont Outback are best thought of as a toughened-up version of the kind of thin baseball shoes popularised by Converse, though we love in use of handy, healthy Ortholite insoles. We’re not completely convinced that they’re ideal for hill walking, but here are some well designed and unique-looking shoes that have something extra on most urban footwear.